We have created reducer families with the capacity to apply and modify the eccentricity to suit your needs. This applies to straight reducers and super tee families too. 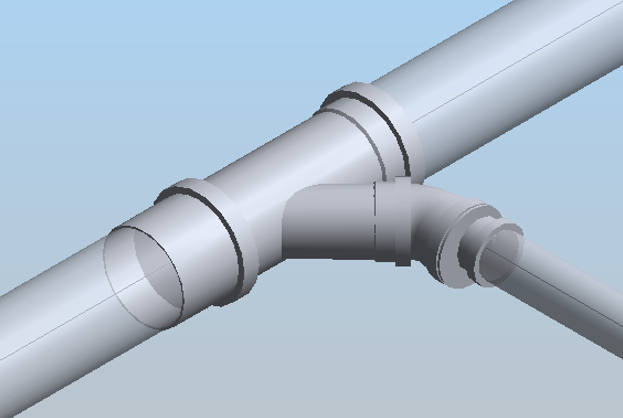 To use eccentricity with straight reducers, start by drawing a straight pipe. 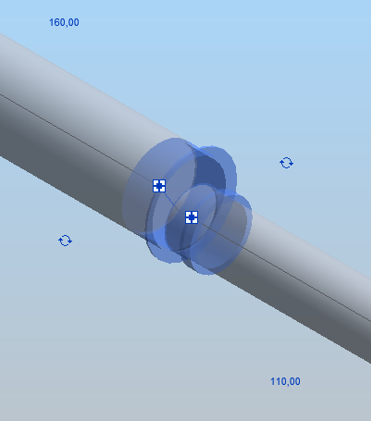 Then change the diameter and keep drawing along the same axis to create a custom fitting. When you select the custom fitting, you will notice a number of checkboxes in the family properties. 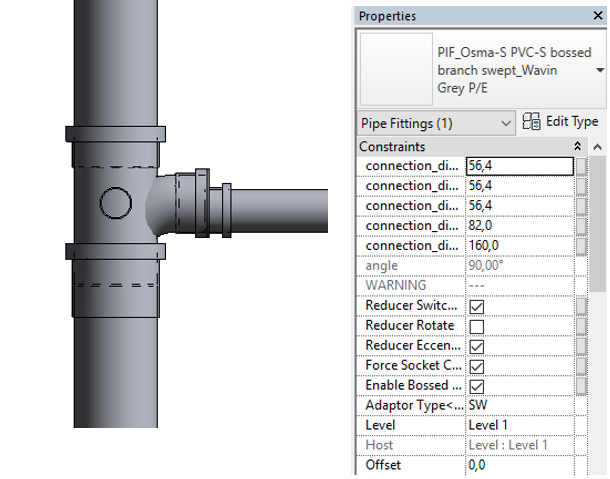 These are functions that have been programmed into the fittings to provide the designer with a faster and more intuitive process. Apply eccentricity by selecting the “Eccentric” function. As you’ll see, the reducers are changed into eccentric pieces. Switch Eccentricity rotates reducers by 180 degrees. 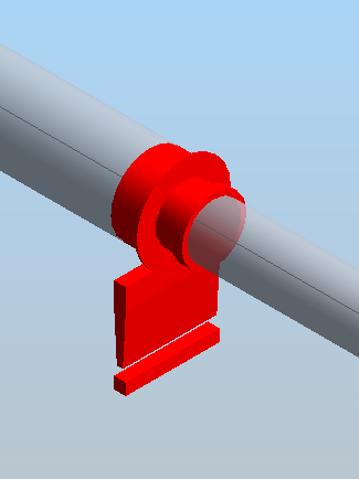 You can also rotate the reducers by using the Rotate Symbol which appears next to the fitting when selected. 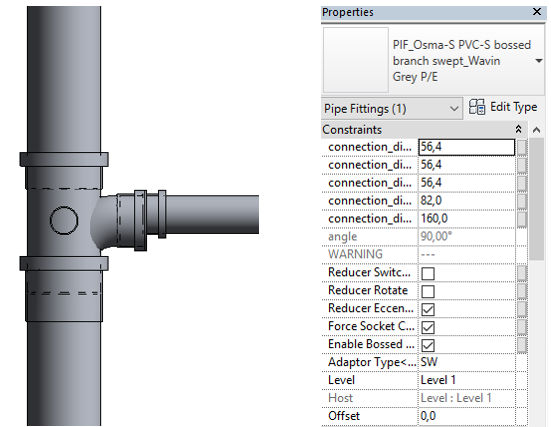 Combining these functions allow you 0, 90, 180, and 270 degrees of rotation to fit your project’s demands. Reducers in super tee families work in a similar way. 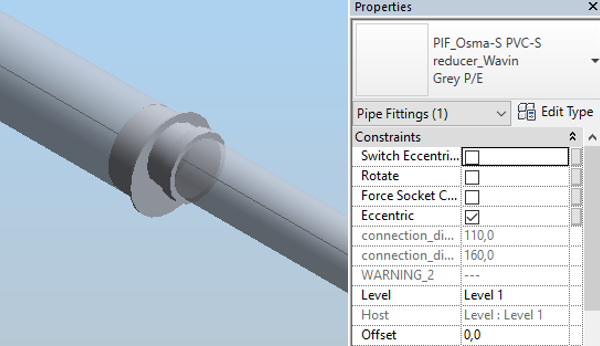 Start by drawing a straight pipe, then connect a second pipe at 90 degrees. Some tee types have a predefined eccentricity, so you don’t have to apply it yourself. 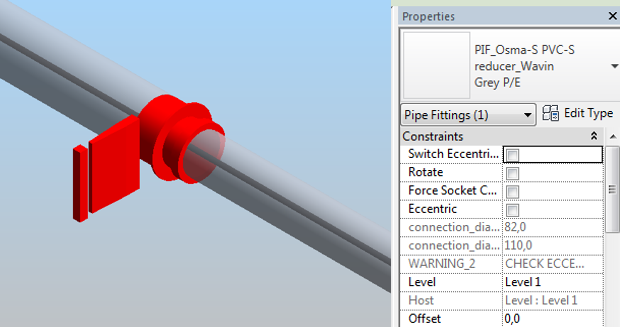 Select the tee type and change it to a connection between two horizontal pipes. 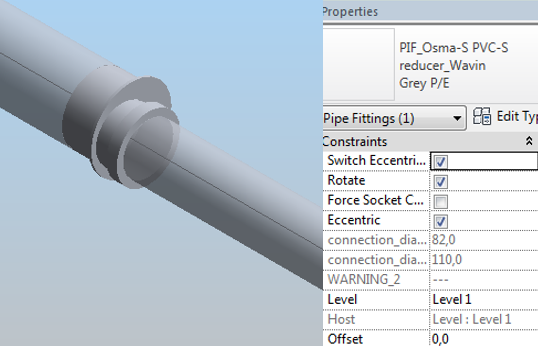 With this connection you need to apply the eccentricity with the “reducer eccentric” checkbox. The direction of eccentricity can be changed with “Reducer Switch Eccentricity” function. 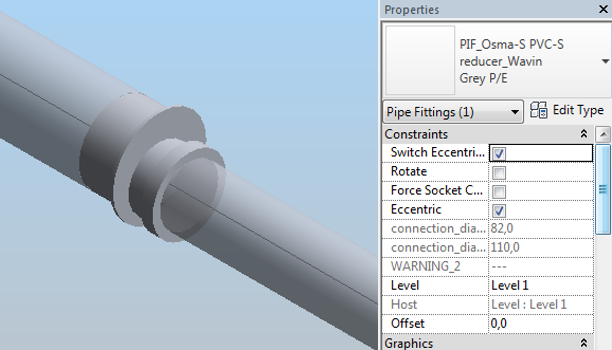 We recommend that the eccentricities should be applied after the whole system is modeled, this is because eccentricity can interfere with Revit’s “slope” functionality. This can be done easily using Wavin Validation View. Every centric reducer in the project will be highlighted by a red filter, which makes it easy to locate them in this view. Watch the video below for more guidance on dealing with eccentricity in Revit families for BIM. 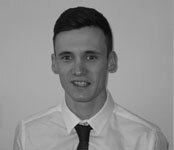 Adam is a Design Engineer and has been with Wavin for over 7 years. He is experienced in all of the Wavin core product ranges and specialises in the Wavin Acoustic S System (AS).